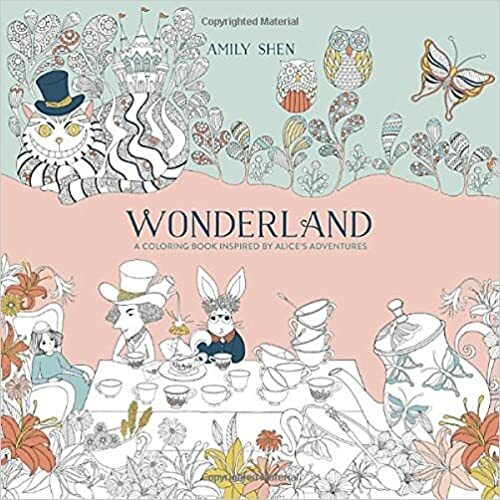 The 80 page coloring book was inspired by the Alice in Wonderland story. The coloring book also has a few pages of activities such as a maze, draw your own butterfly, and hide and seek in the pictures. A fun fact even the dust cover is removable and has illustrations on them (however, I am not sure if you can color them in). The paper is a bit thin so I would recommend using color pencil instead of colored markers for the book. The illustrations follow certain parts of the story and not just in any random order. The book is split into mini chapters with a blurbs for each photo. The book has a bit more whitespace than drawings on some parts though. The reason why I gave this activity book three stars is because the illustrations didn't seem very refined and a bit childish. After eight years of a tumultuous marriage, Cassidy was looking for a new start in life. 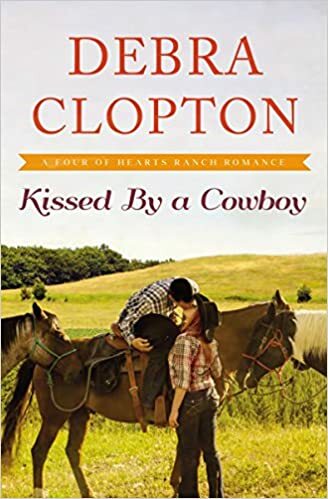 Her parents' having a knack of marriages going wrong and having her husband cheat on her more times she can count, Cassidy has given up on love. She moves into her great aunt Roxie's house and hopes she can live a content life alone. However, her life is turn upside down when her childhood crush lives next door and stirs up memory from the past. Will Cassidy be able to open her heart again to love? The book was a quick and interesting read. It was packed with quirky sayings and catchphrases like "She wanted to lose her cream cheese bagel thinking how close that horse hoof had come to his temple". It was a bit annoying that Cassidy kept flip flopping on her heart's desire and what she thinks she really needs. She would "crave" Jarrod but then push him away, after the first 3 times it got annoying. As with most romance novels, it had a predictable ending but it was a good read overall. In the streets of New York, Dimas "Daylight" Salaberrios was trying to make his mark in drug world. He wanted to be a street god and run his own crew while having power and money. When he was the tender age of 11, he started taking pills then started selling drugs to fellow classmates. By 15, he was facing time at Rikers Island for his involvement in the drug business. During one faithful moment, Dimas starts to question his life's path. Did he really want to continue on his current life path or was he needed for bigger things in life? To be completely honest, I have gotten to page 252 before I couldn't continue reading this book anymore. This is probably the first book I ever stopped reading because I realized it wasn't worth my time anymore. It took me almost 6 months of painfully trying to finish reading the book. 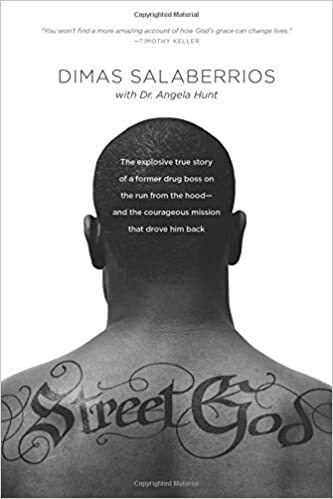 The first half of the book was enticing, especially the parts where he spoke about my old neighborhood and the struggles we faced. I was glad he was able to get out from the drug business and make a better life for him and his family as everyone needs a bit of guidance when they are in a tough spot. However, I felt like he was bragging that God was always looking out for him --- it seems every single tough situation he had faith and things worked out "perfectly" for him. It seems like he was bragging and saying "God loves me, I am his favorite, everything works out, just pray and it will all be well". I have faith and so do many other people in the world, yet bad things happen (even after praying and begging to God) -- we might temporarily lose our faith but we get stronger and then realize with time our wounds heal and we made stronger (and we regain our faith). I am sure other people can relate and enjoy this book but unfortunately, I didn't find this book appealing. A haunting tale of a woman who was found brutalized beyond recognition and the journey of finding her killer. The woman was found on the verge of death, crying out "let me die" before slipping into a coma and perishing five days later. However, her identity is unknown along with the motive and her murderer. After top lead detective, John Mulvany was on the case, they were able to establish her identity. Jane Maria Clouson was a maid for the prestigious Pook family and she was also two months pregnant by the younger son, Edmund. The tantalizing tale takes readers into the vivid investigation of the violent murder of one girl of London's working class. The novel uses many primary sources to piece together vivid portrayal of the murder investigation. While the tale was elegantly woven, I personally lost interest after a few chapters. The book became tedious and boring to read. 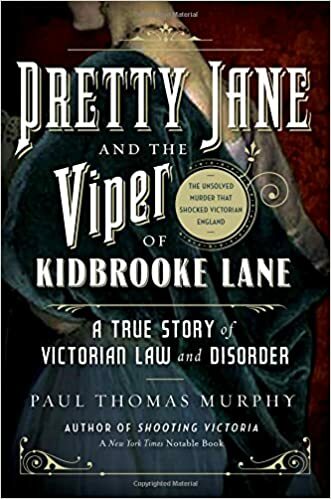 Perhaps, I missed subtle references but the author bought up a couple of unrelated stories that seemed to have no correlation to the Pretty Jane trial. The author also at the end sum up the evidence made present during the trial on why they believe the suspect was killer. For all I cared, it could have been Santa Claus but it wouldn't have made this book more interesting. I was walking passed a small shop in Chinatown that had a bunch of random things out in front of their store front. After seeing this Sandalwood soap, I decided to give it a try since it was only $2 and it smelled relatively good. I am not a huge Sandalwood fan but my SO is. The soap is apparently more wide known that I thought it was. It is particularly well known for it’s Oriental packaging. The vegetable oil soap base is hand milled and contains no artificial fragrances. The soap provides a generous lather and left my skin feeling soft. However, I still had to follow up with lotion.